A Bitter Southerner Q&A with photographer Gregory Miller about how he became fascinated with mariachi bands playings in the American South. What drew you to photography? I’m from Atlanta, was born at Georgia Baptist (now Atlanta Medical Center). I’ve basically lived here all my life, save a brief stint in New York. What draws me to photography isn’t necessarily the image. Though, that’s a big part of it. Like a lot of Southerners, it’s the storytelling. I love the brief connection that occurs when photographer and subject intersect. What was your initial interest in shooting this project? I was out eating Mexican, and the mariachi band came around playing music. I started watching the various tables in the restaurant and noticed a range of reactions. Some diners were enthusiastic about the band, encouraging them to come to their table and perform a song. Some were carrying on oblivious to the music and others were visibly irritated. The band was unfaltering in its performance. I began to wonder whether this was an authentic Mexican tradition or if it was something that had been Americanized like the food that was being served. Visually, what caught your eye? The closest thing to the mariachi uniform that I can think of is the marching band uniform. Bright colors covered with chrome fasteners and clasps make the band shine like a new penny. The uniform so clearly communicates that the music is going to upbeat and fun. Did your understanding of mariachi change? Typically, the band plays traditional American folk tunes or even classic rock songs, all surrounded with rich, spicy food and tequila. The atmosphere surrounding their performances often makes it easy to overlook their musicianship. 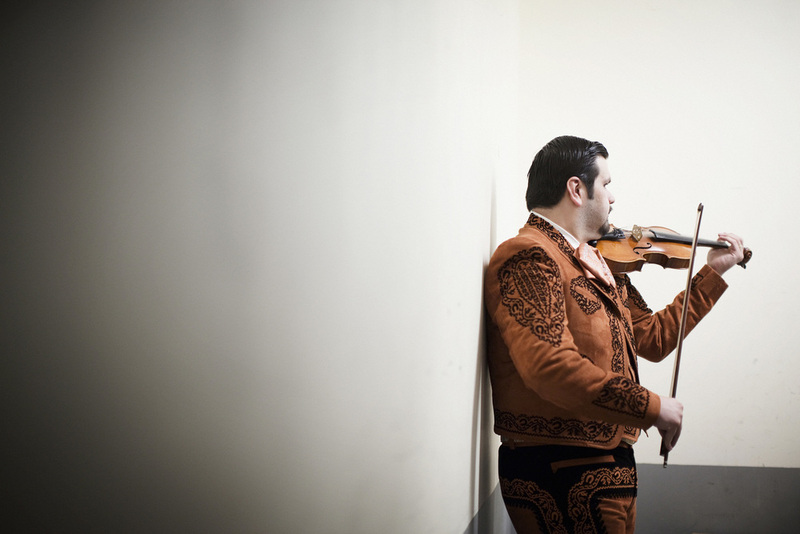 What I've found among the mariachi I photographed is that they are lifelong performers with exceptional talent. Originally, I felt that their talent was being squandered on an audience who would never appreciate what great musicians they are. The truth is that the band absolutely loves what they do. They have built a very successful business working every day to create music in an intimate environment. Luis, the leader of the band, talks about mariachi being more appreciated in the states than back in Mexico. Did you see that appreciation? Luis and his band claim to be the busiest mariachi band in Atlanta, working seven nights a week. There may be more opportunity here to make a living as a mariachi due to the popularity of Mexican restaurants, but I don't know for sure. It seems to me that Luis simply wants to share the joy of music to everyone. See more of Gregory Miller's work here.